Nursing home neglect and abuse is a heinous and unforgivable crime. It causes unnecessary suffering for our loved ones, and mental anguish for those who feel responsible. 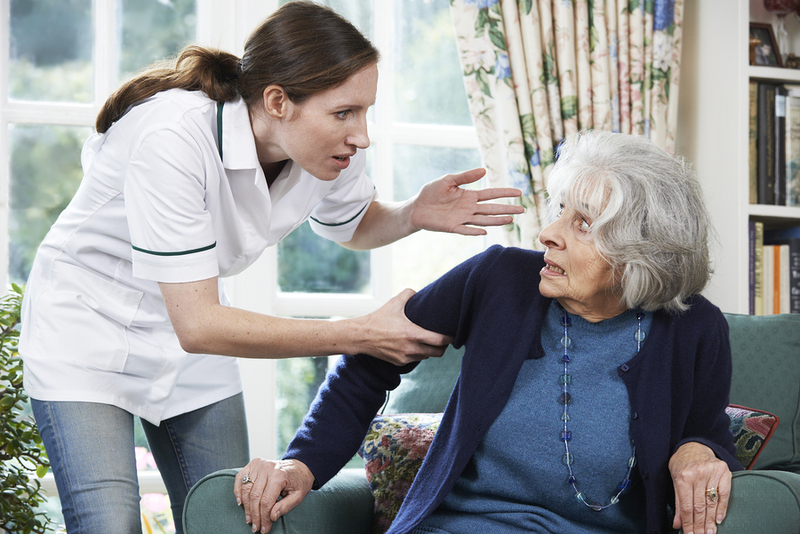 Nursing home residents may be neglected in various ways or they may fall prey to intentional harm and elder abuse. Elder abuse is an absolutely heartbreaking crime that can be hard to fight if you don’t have the right type of help. 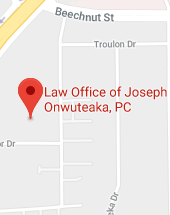 At The Law Office of Joseph Onwuteaka, P.C., our law firm has been actively helping families fight against nursing home neglect and abuse while pursuing justice and restitution for over three decades. Making the decision to put a loved one in a long term care facility is grueling enough. The decision usually comes along with an entire host of dizzying and confusing emotions, such as guilt and anger. These feelings are further exasperated when we find that our loved ones have been neglected or abused in that facility. Injuries or illnesses that are not promptly reported to the family physician. If you suspect nursing home abuse of your loved one or another elder, there are some steps that you can take. You will need to be proactive about this, so don’t wait to see if someone else does something. Write it down. One of the best things you can do is keep a journal. Write down even the smallest of details that may seem insignificant at the time. Patterns may emerge later. When you report things to authorities or speak with an attorney you will need to be able to give them details such as, “my mom was not given her medication on 12 out of 30 days in May.” You will also want to have those specific dates. Take pictures if necessary. If your loved one has suffered any injuries or has unexplained marks, like welts and bruises, take pictures of them. This will help to document the injuries. You’ll also want to make sure that there are dates on the pictures. Complain to the facility in writing. It is not enough just to call or speak with a staff member. When the authorities investigate, or if a case goes to trial, they will simply say that they don’t remember speaking with you. Keep a copy of your written complaint. You will need to stay organized and keep copies of any correspondence. If you do speak to someone at the facility, ask them to follow up the conversation with an email or written letter so that you have a copy. Initiate important medical decisions yourself. If you think a visit to the physician or a call to 911 is in order, do it. The nursing home facility will not. If you feel it’s necessary to move your loved one, then do it. Don’t talk about it, take action. Report your findings to the authorities and an experienced attorney, even if you move your loved one. You will also want to report your findings to the police department and the Adult Protective Services agency in the county where the nursing home is located. Additionally, you should make a report to the health department in that county. Get everything on record and ask for copies of the reports. If you want to pursue a claim against a nursing home due to suspected elder abuse and neglect, contact the Law Office of Joseph Onwuteaka, P.C., with all of the information you have gathered. We have been standing up for the rights of families and their loved ones for over thirty years. We will fight diligently and aggressively to get the financial compensation that you are entitled to receive. Our goal is to help you get a fair settlement, while ensuring that justice is served for victims of nursing abuse, neglect and other crimes. Who can file a nursing home abuse claim? Anyone who suspects abuse or neglect of an elder in a facility can file a nursing home abuse claim. A family friend, adult children and grandchildren, spouses, patient advocates, and even volunteers can file these claims. If the patient does not see family regularly, and still has clarity of mind, they can take legal action and file the complaint personally. How can the right attorney help? Attorneys that are experienced in the field of elder abuse, nursing home abuse and neglect have considerable legal power to help you investigate further. They can retrieve records from the nursing home such as employee background screening, prior complaints against the facility and current patient complaints. Attorneys can also obtain sworn statements from current and former employees regarding their knowledge of abuse and/or current and past complaints involving elder abuse victims. The current and former employees can also give valuable insight as to how complaints have been handled in the past. What kind of damages can my family recover? Lost wages while caring for your loved one If the nursing home committed criminal actions or you can prove reckless conduct, as determined by the state, you may also recover punitive damages. The more severe the case, the more compensation for punitive damages may be awarded. If you suspect that your loved one has been neglected or abused in a nursing home facility, contact the Law Office of Joseph Onwuteaka, P.C. today. Our practice has the experience required to put an end to elder abuse in nursing home facilities, in addition to helping you recover compensation for your loved one and their injuries and losses. In addition, our practice areas also include medical malpractice, wrongful death, personal injury claims, accident lawsuits, and family law cases. Call (713) 271-5760 or contact our law firm online to schedule a free case evaluation with an experienced, aggressive nursing home abuse attorney. 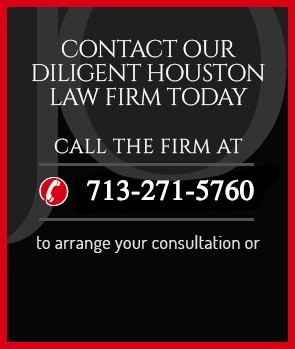 We fight for the rights of loved ones in Houston, Texas, and the surrounding areas.